Mamas! We are busy people. All day. Everyday. 24/7. Add the normal mommy chaos to a crazy schedule like my husband's, and everyday life will have you feeling like you're two piles of laundry away from pulling your hair out. Breathe. Now that my son is 3 years young, my husband and I are actually pretty good about planning date nights. We know when it's necessary. It is. You need it. 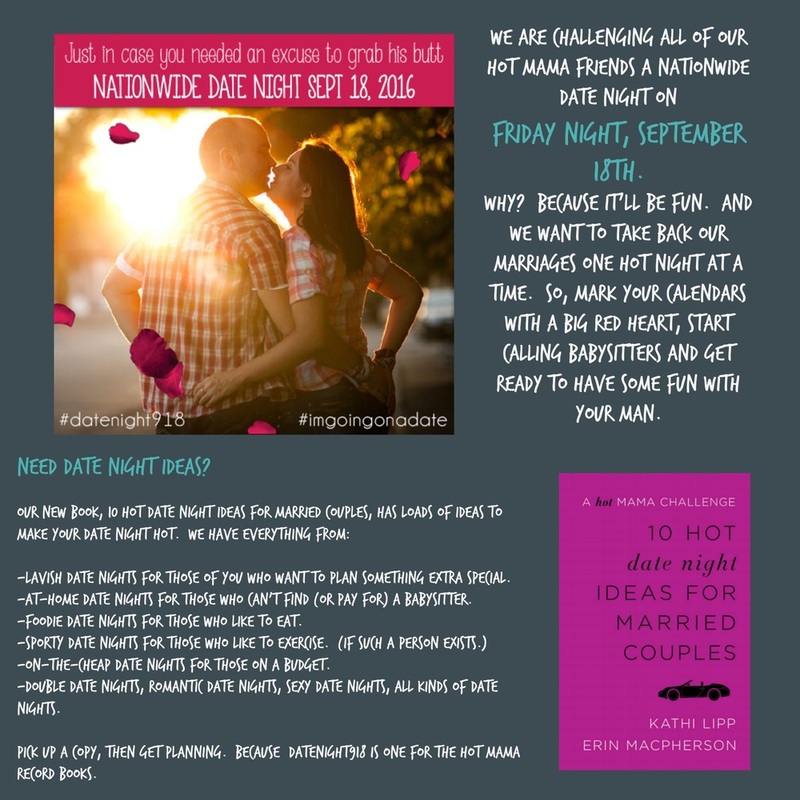 Authors Erin Macpherson and Kathi Lipp are starting a Hot Mama Revolution and proposing a date night that happens this week! Isn't this fun? Date your husbands, it's good for you. Single mamas, I see you. Don't feel left out. Round up some of your Besties and plan a night out... Or in! Take some pressure off, wear that LBD (Little Black Dress) hidden in the deepest part of your closet, use that lip stain or liquid lipstick you've been dying to try and GO! Be that fab Hot Mama you are. I hope you decide to join the revolution and have a ball planning your date night. I want to see you all dolled up, use the hashtags #DateNight918 and #ImGoingOnADate if you post on social media to show your participation! Good luck Doll Faces! !